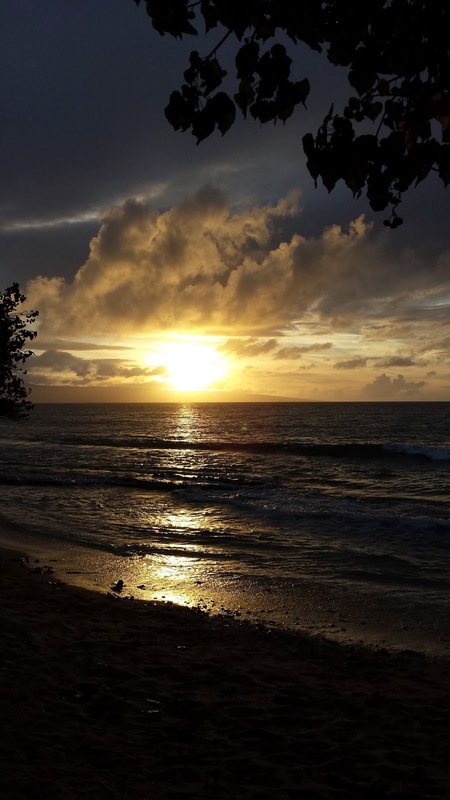 I am three months and two days into this new adventure that I creativity call Life in Maui. 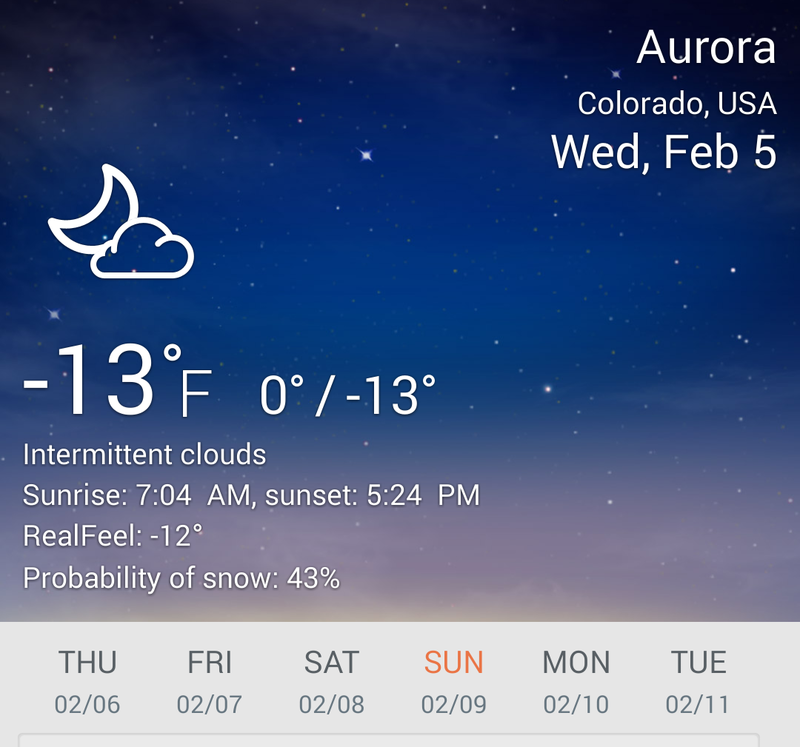 No doubt I picked a good year to get promoted and move to a tropical island. I've experienced winter every year of my life. There has been snow. There has been ice. There have been days I wished I could stay in bed. Note: if you want snow days, the hospitality industry is NOT for you. But this winter seems to be super special. Family and friends in Colorado, Wisconsin and Illinois are all sharing the same story. This winter is cold and sucky. Who is excited for this? 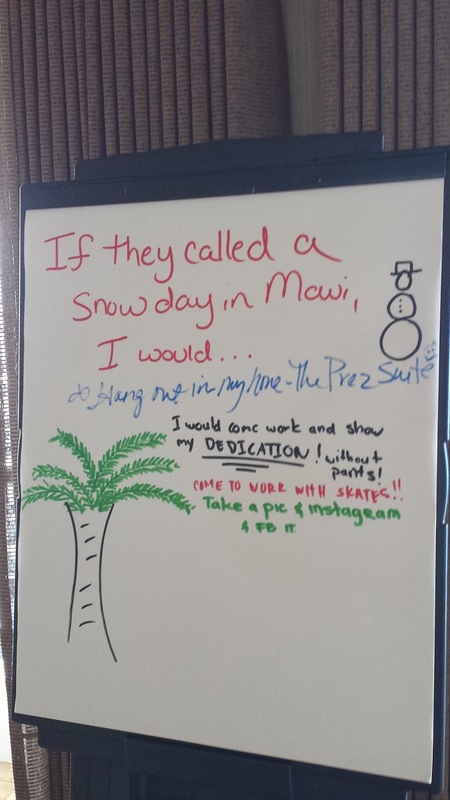 Last week our paychecks were slow in arriving to Maui because of the snow in Atlanta. Which prompted this ice breaker question in one of my training classes. I'm still caught in the wonder of living here. And there will still be wonder even when the polarvotexpocolypse is over and it's spring on the mainland. Tonight on the way home I decided to stop at one of the beach parks to watch the sunset. I was woefully over dressed. I had on pants. Structured Pants. And shoes instead of slippers (aka flip flops). Some days it's like the Discovery Channel or Nat Geo should be here filming. 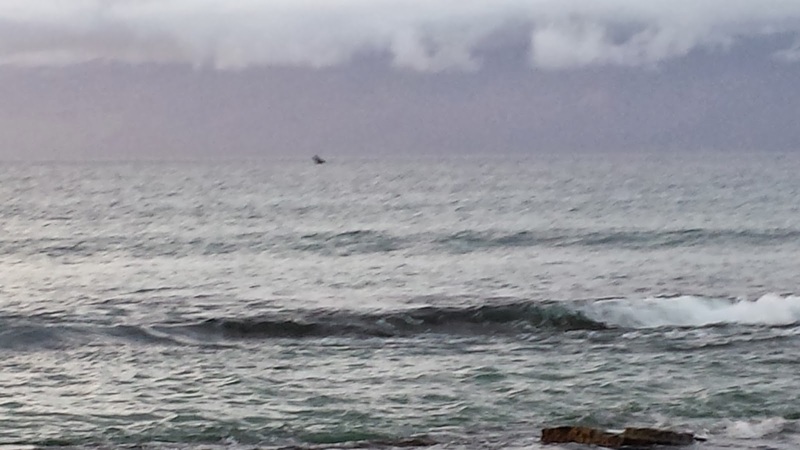 While I was waiting on the beach for the sunset, a whale came out to play. Waving his fins. Breaching. Right here. On a Wednesday after work. That speck coming out of the ocean in this picture is a humpback whale. A big move can be stressful and crazy. The fun of learning, exploring and enjoying your new home is the reward.